Jan Fisher of Alpine looked closely at the colorful ceramic duck she held in Alpine’s historic Town Hall. Fisher likes things from Japan and she was having a good time hunting for them on Feb. 1 during the first of the weekend annual Attic Treasures Sale. It’s held in what is now the Alpine Woman’s Club at 2156 Alpine Blvd. Dozens of other people were also browsing through the carefully displayed eye-catching china, gorgeous crystal pieces, unique furniture and other donations. The sale was a great place to find bits of the past, new and old books, sports equipment, electronics and more. 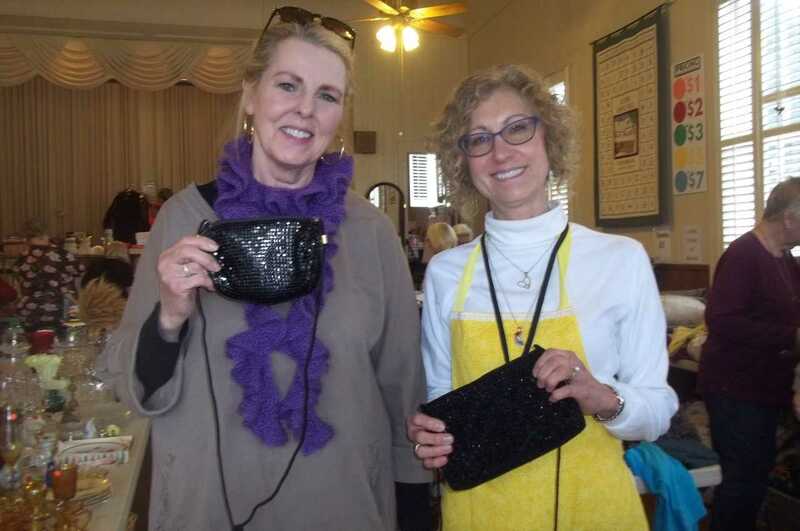 The Attic Treasures Boutique, set up on the restored old hall’s classic 1890s’ stage, drew women to current and vintage clothing as well as jewelry. “All of our sparkly items went right away,” said sales team member Anne Knuth. Club President Linda Whitlock said the club --- a member of the Alpine Chamber of Commerce --- doesn’t set an income goal for the sale because weather and other things can affect shopping. 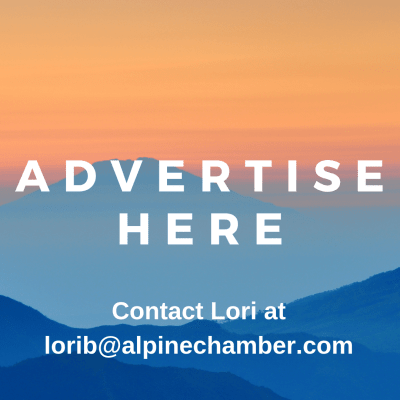 “The money goes for the preservation and maintenance of the Alpine Town Hall and scholarships for high school graduates from Alpine,” Whitlock said as three more smiling shoppers approached the cash register. Maria De Alta of Alpine was leaving with her daughter, Christina, who held kitchen items they had bought in addition to other things. Inside the hall, Cindy Elwood of Omaha, Nebraska, said she was visiting relatives for the weekend and happened on the sale. She was still shopping.